Editorial Here we are again! 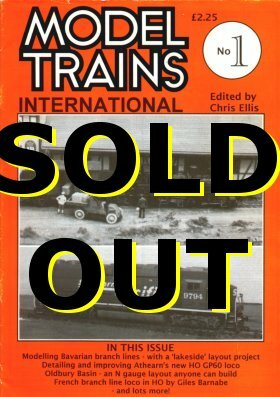 Introduction to Model Trains International magazine. Very small UK­outline layout, with photos & trackplan. French loco conversion, with photos and drawings. Converting the Dapol 14xx, with photos. Article Budget Modelling Starts Here! A look at good, cheap US-outline models. A look at German rural branchlines, with photos and trackplan ideas. ... and the resultant layout takes shape! !